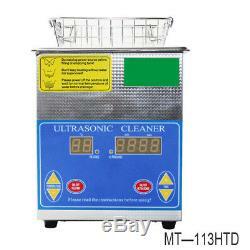 60W Small Digital Ultrasonic Cleaner 1.3L for Household Glasses Jewelry Cleaning. 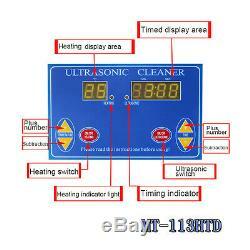 Ultrasonic cleaning and heating can work at the same time. High efficiency cleaning for teeny blot particles. Perfect for cleaning the longhole, finedraw and shelter of piece part or workpiece, no need to touch cleaning fluid by your hands. Large digital timer and temperature display for precise wash time and temperature control. 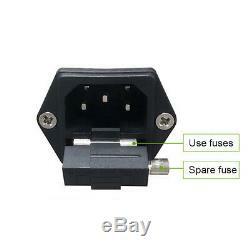 CE, FCC and RoHS Approved. 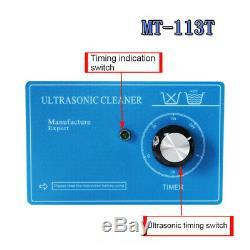 Built-in Powerful Transducer can strengthen the ultrasonic power and make superior cleaning outcome. Stainless steel cleaning bracket for cleaning some small objects which need less friction, it can reduce the friction between the small objects and the tank. Stainless steel tight fitting lid with handle to prevent water heat from diffusing. Use only tap water for general cleaning, you also can add about 5-10 ML of detergent into water to enhance wash result when needed. Save cleaning solvent, thermal energy, work place and labor. DO NOT Operate if the tank is empty. After use, switch off and disconnect the power. DO NOT use solvents, and corrosive or flammable solutions as these can damage the unit. When adding or changing fluid, the power must be disconnected. Cleaning Jewelry made with glue or adhesive tape may break from the ultrasonic waves. We sell this machine of 220v/110v power supply, but 110v takes about 3 days for customization. Medical and Dental Clinics, Tattoo Shops, Scientific Labs and Golf Clubs. Jewelers, Opticians, Watchmakers, Antique Dealers and Electronics Workshops etc. Jewelry: Earrings, Necklace, Rings, Bracelets and Diamonds. Glasses and Timepieces: Glasses, Sunglasses, Optical Lenses, Contact Lens Accessories, Watch Chains and Waterproof Watches. Commodities: Tattoo Guns and Tubes, Electric Shaver Heads, Razor Blades, Dentures, Combs and Toothbrushes. Stationery: Pen-heads, Printer-heads, Inkjet Cartridges and Seals. Metal Articles: Ancient Coins, Badges, Valves, Machine Nozzles, Electronics Components and Mechanical Parts. Metal Dishware: Forks, Knives, Spoons and Other Small Silverwares etc. Normally, you should receive item within 2-4 weeks. We are a professional trading company specializing in video games, car accessories, spy equipments and other electronic products. We will always do our up most to exceed your expectations in customer service, communication and dispatching of your orders. If YOU are not satisfied, please let us know so we can make it right. In case of DOA, Please notice us within 3 days and return the case within 7 days after receiving the items. (The date on Post Mark is for standard). 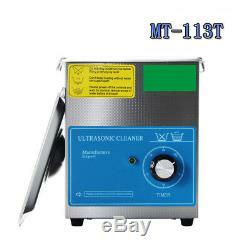 Specificaiton Item: Ultrosonic Cleaner Model: MT-113T, MT-113HTD, MT-113HTDS Tank Material: Stainless Steel SUS304 Heating Power: 100W Ultrosonic Power: 60W Ultrosonic Frequency: 28/40kHz Power Supply: AC110V, 220V Tank Capacity: 1.3L Time Setting: 1-99minutes Temperature Setting: 0-80 degrees Celsius Tank Size: Approx. 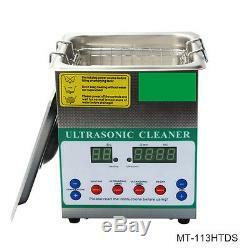 15014065mm Ultrasonic Cleaner Size: Approx. 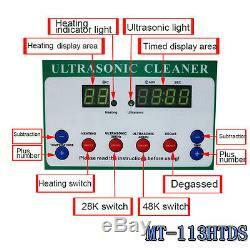 190170195mm Package Include: 1 Ultrosonic Cleaner Machine 1 Cleaning Bracket. 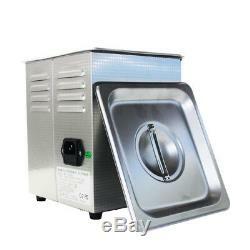 The item "60W Small Digital Ultrasonic Cleaner 1.3L for Household Glasses Jewelry Cleaning" is in sale since Wednesday, July 26, 2017. This item is in the category "Jewelry & Watches\Jewelry Design & Repair\Jewelry Cleaners & Polish". The seller is "auchans-vip" and is located in Shenzhen. This item can be shipped worldwide.